Wednesday, April 6, 2016 4:45 pm. PEROXYGEN Systems won top prize during the 2016 Tennessee Venture Challenge (TVC) today at The Foundry, World's Fair Park in Knoxville. Ming Qi, of Peroxygen Systems, Inc. received $20,000 from the University of Tennessee Research Foundation (UTRF), host of the annual competition. The winning team was one of six pitching their business ideas to a panel of investors. Information online suggests Peroxygen also competed in the 2013 UTRF Venture Challenge. Second- and third-place winners were Farm Specific Technology and CZ Nutrition winning $3,000 and $2,000, respectively. Shawn Butler, Austin Scott and Daniel Wiggins of Farm Specific Technology also received the event's "crowd favorite" prize of $5,000, sponsored by Launch Tennessee (Tennessee Technology Development Corp., TTDC). Farm Specific Technology wins totaled $8,000. The startup seeks patent protection for its Flex Roller Crimper, a farming device used to manage cover crops and get rid of weeds. CZ Nutrition produces sugar-free protein drinks, led by Prof. Qixin Zhong, Ph.D.
Other finalists that did not win cash prizes were: T&T Scientific, with a cell-membrane measurement system; TechSmartt, focused on analytics for use in materials development and production; and, Iono Pharma, which has an OTC product for use in addressing human iodine deficiency. More on the entrants here. 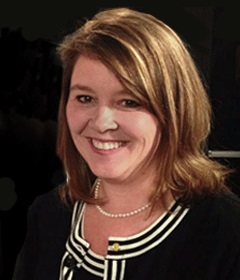 UTRF Vice President Stacey Patterson, Ph.D., observed, "Moving intellectual property from the lab into the marketplace is one of UTRF's primary functions, and we're excited about the enthusiasm for commercialization we've seen among the UT research community during this competition." According to the company, Peroxygen is changing the traditional hydrogen peroxide production and delivery process, making it not only energy efficient, but also cost effective. Hydrogen peroxide is used for its oxidizing properties, working as a bleaching agent and as a disinfectant against bacteria, viruses, spores and yeasts. The event's judges scored all presentations on criteria including: explanation of product/service and the problem it solves; uniqueness of product; sizable market opportunity and ability to penetrate that market; development stage; viable business model and clear measures of success. TVC 2016 preparation began in early February with a seven-week entrepreneurial program that helped inventors define their markets and refine their pitches. Nine potential startups competed in the TVC semifinals. During the semifinals, the field was narrowed to the six teams that competed in the final event.